If you are a die hard Olympian follower, you have noticed a strange trend among Olympian medalists: Olympians posing for photos with their medals clamped between their teeth. Why on earth would they do this? The only logical reference I have and probably you too, is the wild west movies we’ve watched, where many times a cowboy would bite a gold coin and smile. It was the only sure means they had to ascertain that a coin was indeed gold. Gold is a soft metal and sinking your teeth into it is an age-old practice in testing the purity of gold. If the gold is fairly pure, you’ll find that you left some teeth marks in it. When Olympians bite their medals, are they then testing the “purity” of the gold? Even though today they all realize, of course, that their medals are not solid gold. What is going on then? A recent video from Today I Found Out explains, there are actually a few reasons why Olympians bite their medals after award ceremonies — and they’re all pretty fascinating. 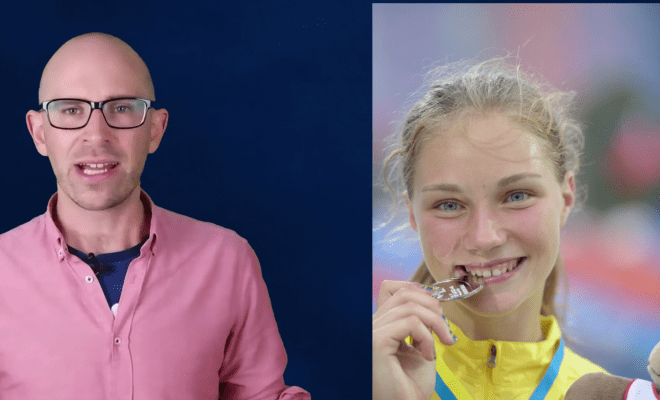 Watch Simon Whistler at Today I found Out explanation as to why Olympians quite often are photographed biting their medals.